After finally getting around to watching Shazam!, today’s post looks at the comic book it’s based on; the New 52 reintroduction of the character: Shazam: Origins, by Geoff Johns and Gary Frank. After being orphaned at a young age, Billy Batson moved from foster home to foster home, becoming more and more standoffish with each transition. Growing into a combatant young teen with little in the way of family bar Tawny the Tiger at the local zoo who featured in his earliest memory, Billy found himself welcomed into the loving Vasquez family – home to five other foster children (Mary, Freddy, Eugene, Pedro and Darla). At first, Billy’s confrontational nature made it hard for him to fit in, but after a fateful encounter with the wizard ‘Shazam’, Billy was gifted the powers of the Champion of Magic; able to transform into a superpowered adult version of himself (possessing the wisdom of Solomon, the strength of Hercules, the stamina of Atlas, the power of Zeus, the courage of Achilles and the speed of Mercury). Learning to control these powers alongside his new family, Billy found peace, purpose and a sense of belonging. 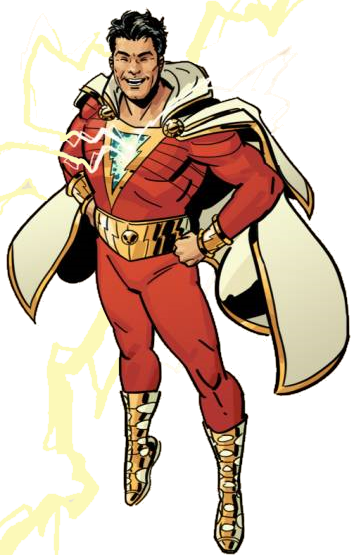 Now, as a member of the Justice League and protector of magic, Billy operates as the ‘World’s Mightiest Mortal’, Shazam! Finally got round to re-watching and reviewing Wonder Woman so it can finally be retroactively fitted into my series of DCEU film reviews, completing the series. It’s about time! Commonly known as the bright spot amongst the sea of messy, bleak superhero movies that make up the DCEU, Wonder Woman sees Diana retell the story of how she came to the world of man; meeting her first love Steve Trevor and becoming embroiled in World War I in her hunt for the Greek God of War, Ares – who she believes has corrupted humanity. The result is a film that clearly fits within the set-up of the DCEU as we know it, but with numerous factors that make it stand out amongst the rest. Because while I love Man of Steel, I must admit that it can be bleak at times, and the two follow-up films, Dawn of Justice and Suicide Squad, are thoroughly depressing, in terms of content and quality, respectively. Wonder Woman, however, is a film that provides hope. It preaches about the power of love and presents an empowering lead character who grows and develops in a meaningful way that actually, unlike her peers *cough*Batman*cough*, makes sense.